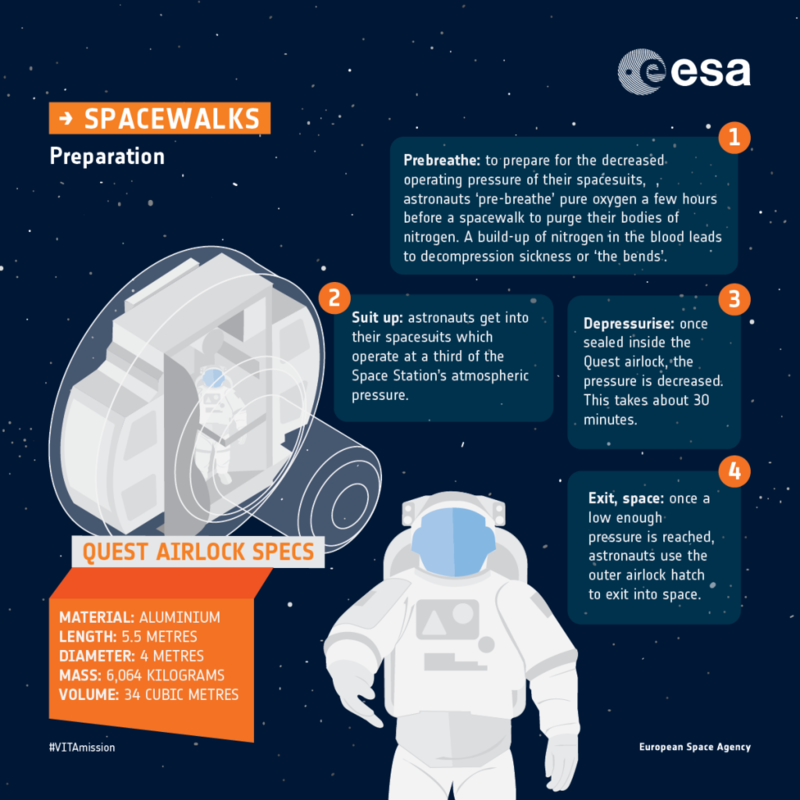 Learn more about how astronauts prepare to exit the Space Station for a spacewalk, the tools they use during their EVAs, and how they come back inside. 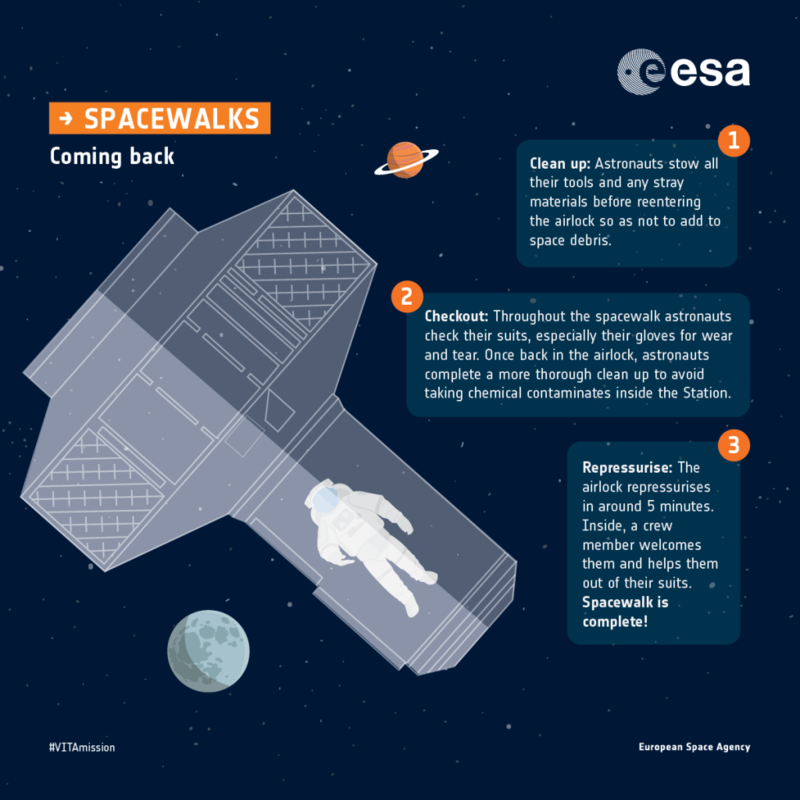 These infographics are available for high resolution download via Flickr. Just wondering… a third of normal operating pressure, that would mean 0,3 bar. Amazing that the human body can do that. What is the breathing gas. 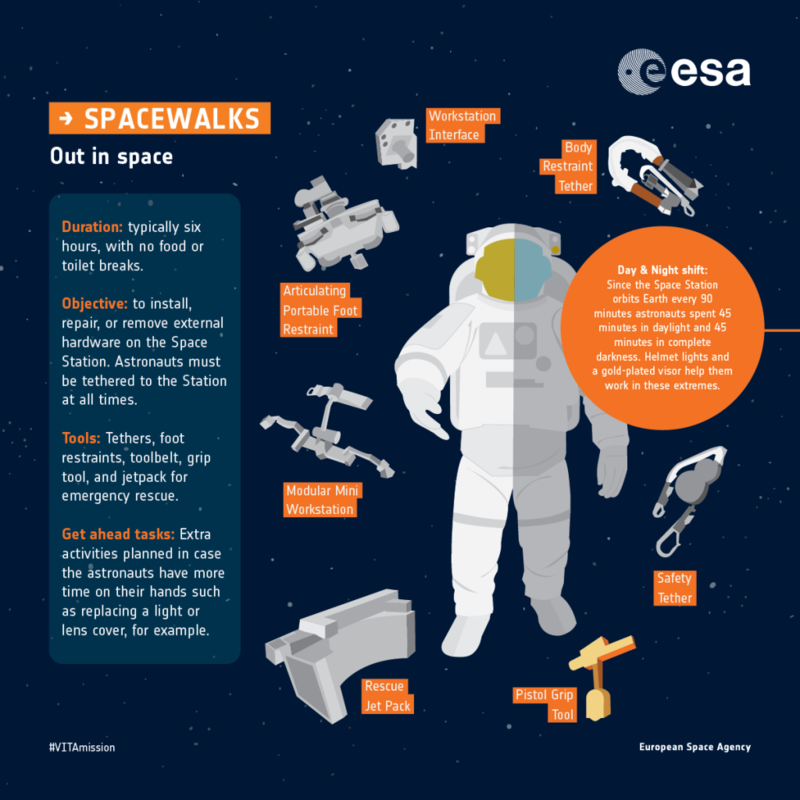 In a spacesuit? Pure oxygen? Or is it mixed with nitrogen or another gas? And how does your voice sound in such low pressure?